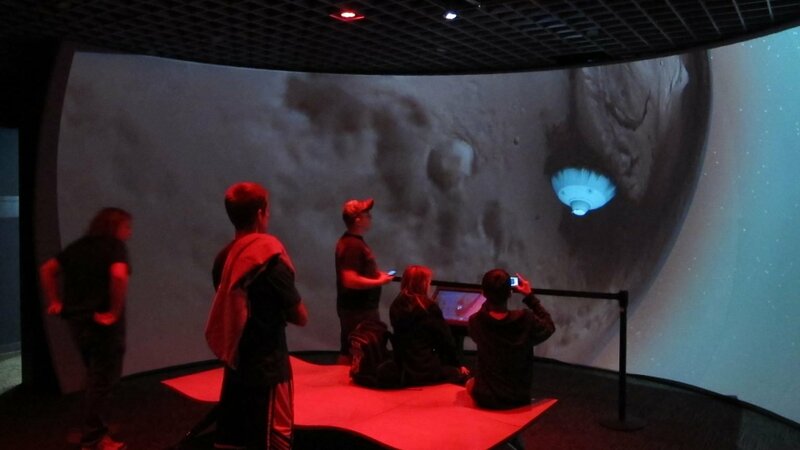 We were thrilled to be part of the opening of the new Nature Research Center at the North Carolina Museum of Natural Science in Raleigh, in April 2012. 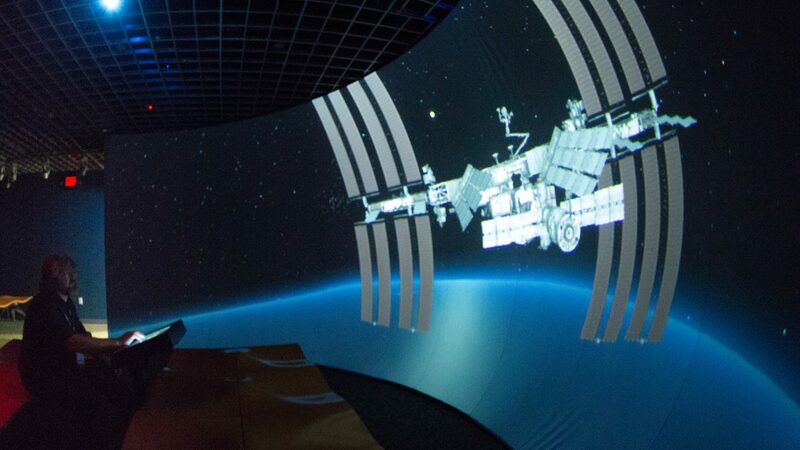 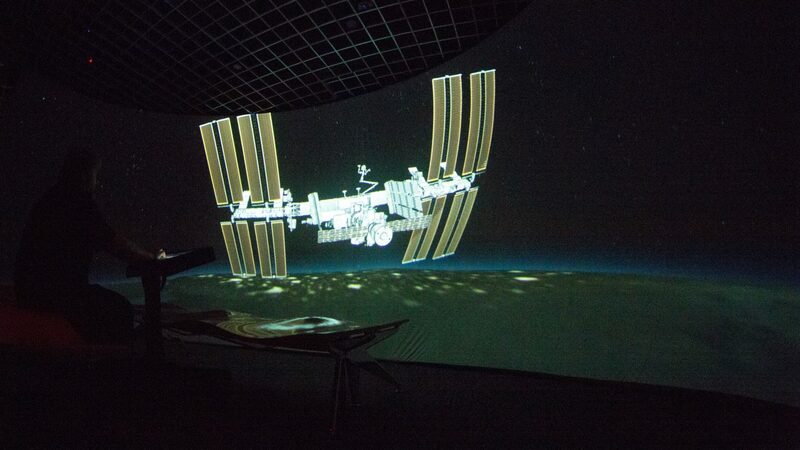 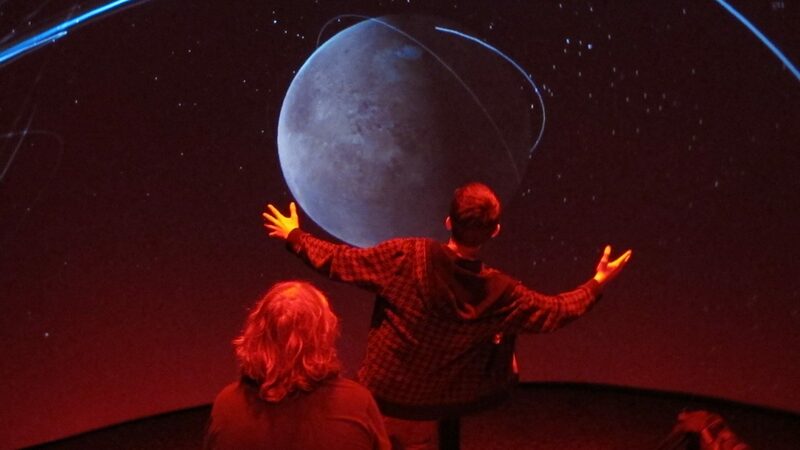 We designed and deployed the Science Panorama, an immersive theater with a 23’ semi-permanent panorama and the 30530 projection system. 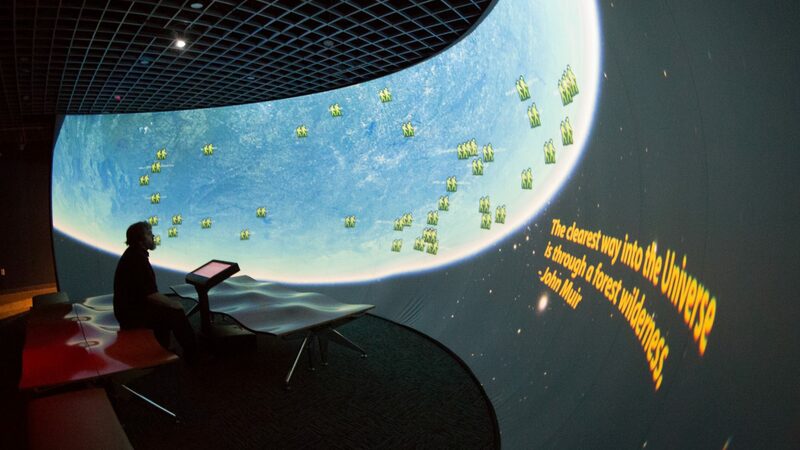 A kiosk with a custom user interface launches WorldViewer content focused on natural processes from the global – with animations created for Science on a Sphere – and the local – with images from LANDSAT’s 40 years of Earth observation. 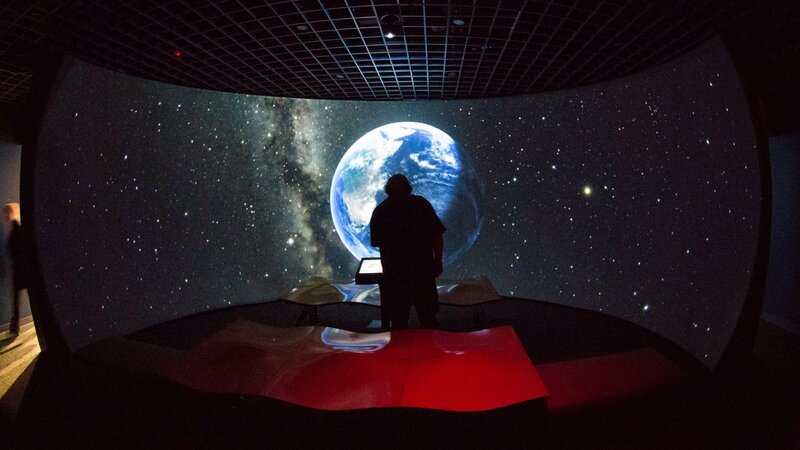 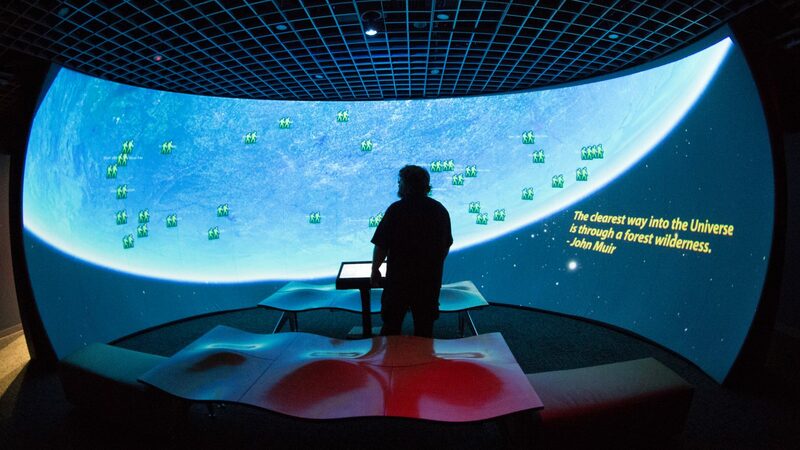 WorldComposer will allow the museum’s content team to keep the content fresh and current with science stories as they happen in the news, presented in an interactive, immersive context. 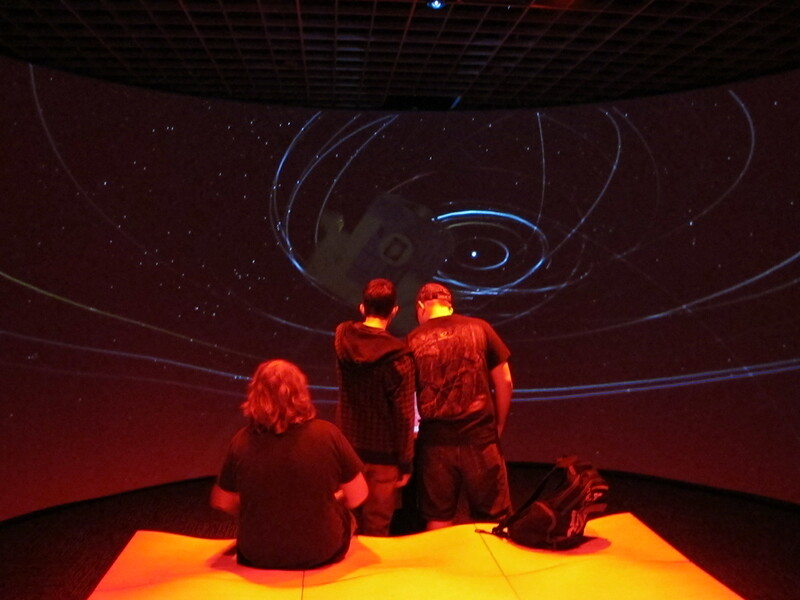 Over 40,000 people attended the NRC’s 24-hour opening event.